So-called broadband speed tweaks are techniques to improve the performance of DSL and cable Internet connections. 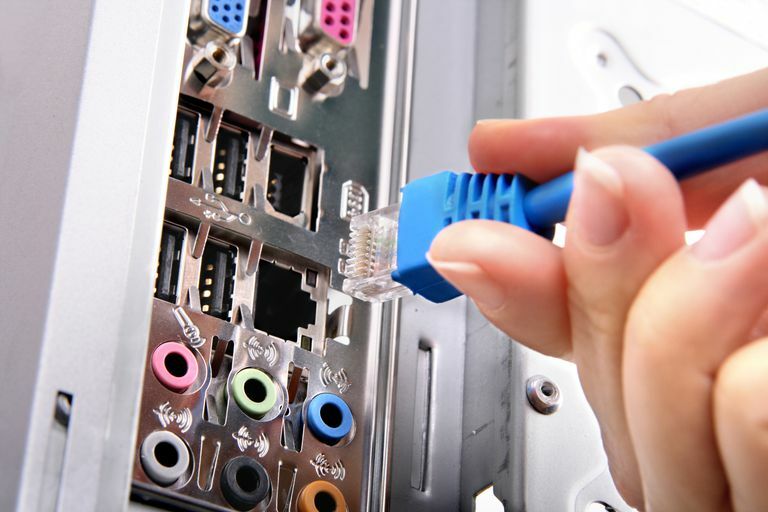 Home networking enthusiasts started experimenting with cable and DSL tweaks many years ago when broadband Internet services first became popular. It was popular many years ago to tweak the settings of (dial-up) Internet to improve on its very low speed. Those specific tweaks generally don't make sense for broadband connections, but others do. Additionally, while broadband speed tweaks originally focused on increasing the performance of general web surfing, speed tweaks are now more commonly made to tune specific applications like P2P file sharing systems, and games. First, broadband tweaks should be made only after your network is tested and running reliably. Speed tweaks are performance optimizations only, not designed to fix installation errors or basic network configuration issues. You should expect broadband tweaks might yield only small speed increases, and then only in certain situations. For example, a tweak to improve the performance of one online game may only benefit that title and then only initially when it is loading. Broadband tweaks may help certain applications like games but at the same time slow down others like web browsing. In general, assume any performance benefits you can achieve may be on the order of 5-10% gain rather than 50-100%. Finally, speed tweaks also can create instability on some networks. Depending on the type of equipment and Internet service you use, some tweaks will be technically incompatible and need to be avoided. The Microsoft Windows Registry contains default values for TCP/IP parameters. You can apply these speed tweaks to your computers by using a Registry editor or the TCP Optimizer utility (see below) to change some of the default values on each, rebooting the computers each time. Other operating systems like Linux and Mac OS X provide alternative mechanisms to tune TCP/IP parameters. Another common broadband tweak entails manipulating web browser settings. For example, suppressing the download of large images saves network bandwidth that can be used instead to download other data faster. Finally, though less common, a few speed tweaks modify settings on routers and modems. For example, TCP/IP MTU settings can be changed on a broadband router separate from individual computers on the network. Speed tweaks have been traditionally applied to the network by an administrator manually, one device at a time, but in recent years software applications have been developed to help automate and maintain tweaks. So-called Internet download accelerators are pre-packaged software programs that automatically apply speed tweaks to a computer. Installing and running an accelerator program will automatically make the Registry, web browser, and other configuration changes. The more sophisticated applications collect information about your computers and network and apply tweaks intelligently to ensure maximum benefit. Because speed tweaks can cause computer and network crashes if made improperly, test each change methodically. If possible, use a proven web accelerator program rather than configuring tweaks manually, and test each change individually before making the next one. To determine whether a speed tweak is working, use an Internet speed test service to measure your Internet performance before and after making a tweak. In addition, try local file transfers, web downloads, online games, and other applications you use often to assess whether a tweak makes any noticeable difference. Don't hesitate to undo a change if you cannot observe any benefit. Does Business DSL Internet service make sense for your company?